As a young boy growing up, Leib Lejzon was not so very different than other boys his age - he was energetic, mischievous, fun-loving and close to his family. When he was 8, his father moved the family from Narewka, Poland to Krakow, away from extended family, but into better circumstances. And Leib loved living in Krakow, paling about with his new friends and being as fun-loving and mischievous as ever. But then the Nazis invaded Poland on September 1, 1939 and life changed for Leib and his family. Little by little they were shut off from the rest of society as restrictions for Jews multiplied. 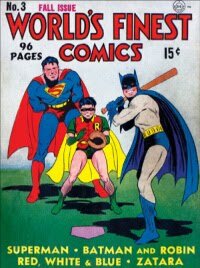 Then one night two members of the Gestapo showed up at his family's front door. They smashed dishes, broke furniture and humiliated Leib's father, beating him repeatedly before imprisoning him for weeks. Not long after being released, Leib's father was sent from his illegal job to an enamelware factory to crack open a safe for Oskar Schindler. The family was relatively safe because of his father's job working for Oskar Schindler, even as the Nazis put even more restrictions on Jews. Because of his age, Leib didn't have to wear a yellow star yet and could even pass for Aryan. But eventually it was decided that only 15, 000 Jews would be allowed to remain in Krakow and they were forced into the newly created overcrowded ghetto. His father and other Jews were allowed to continue working for Schindler, and eventually, Leib's older brother David was also taken on. But when the first deportations started, Leib's other older brother Tsalig was arrested and put on a train. The family never heard from him again, nor did they even learn what happened to brother Hersel, who has returned to Narewka. When the remaining Jews in the ghetto were moved to a Plaszów Concentration Camp, under the command of Amon Goeth, Leib managed to get himself on Schindler's list, as did his mother Chanali and sister Pesza. But life wasn't much better despite being a Schindler worker. Goeth was known for his sadistic brand of cruelty. Schindler did what he could to sneak bits of extra food to his workers, and even managing to get his workers out of Plaszów, where they wouldn't have to deal with Goeth's random executions and deportations. Leib maintains throughout the book that he and his surviving family members owed their lives to Oskar Schindler. When they met again in 1965, Leib, was surprised that Schindler remembered him. Malnutrition caused Leib to be very small for his age and he writes that Schindler always called him the boy on the wooden box as he worked at his workplace and that was how he remembered him. After the war, Leib and his parents moved to the United States and settled in Los Angeles. He changed his name from Leib Lejzon to Leon Leyson, married and had children. He writes that he did not speak about his Holocaust experiences for a long, long time. The release of the film Schindler's List changed that. Fortunately, he wrote his memoirs, adding to the now decreasing body of those who can bear witness to the tragedy that was the Holocaust. Sadly, Leon Leyson passed away on January 14, 2013, the day after sending his finished manuscript to the publisher. Anyone who has watched the film Schindler's List is familar with what happened to the Jews who worked for him. Leon, who was one of the youngest Schindler Jew, takes us behind the movie and gives the readers a personal family history of love, resilience and survival. Written in a very straightforward manner, Leyson reveals many emotions - fear, anger, confusion, but there is no sense of self-pity even as he describes unspeakable events. Besides an Epilogue written by Leon, there are some lovely tributes to him from his family at the back of the book, as well as 8 pages of photos. Be sure to check them out. 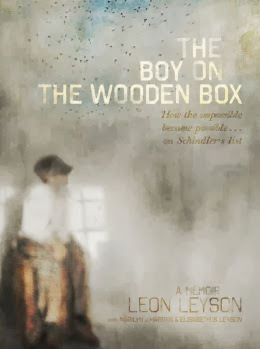 The Boy on the Wooden Box is a book not to be missed. It is recommended for middle grade readers and I think that is appropriate for this book. Some passages are difficult but Leon doesn't include such graphic descriptions of what he experienced or witnessed that it would be too sensitive for readers that age. You can see and hear Leon Leyson in this short YouTube video, taking about Schindler and his life under the Nazis. I have been having a long of trouble commenting and replying to comment, too. I don't know what the is about. This is a wonderful book for teaching kids and Leon Leyson was really a special man, and if you watch the video clip you can see he had such a welcoming smile and a twinkle in his eye despite everything. This sounds very good, Alex. THANKS for sharing. You may like: Once We Were Brothers and The Paris Architect. Both reviewed on my blog and both WWII. Contest ends on December 8. I never thought about it. What do you think they should be? Did your teacher agree?